Closed circuit television (CCTV) systems monitor and record activity anywhere in and around your business. Monitor loading areas, supply rooms, offices, cash registers – any area where security and property protection is important. Multiple cameras can cover wide areas or provide wide-angle and close-up views of the same area. Cameras can be visible or hidden, and record in black and white, full color or in complete darkness. 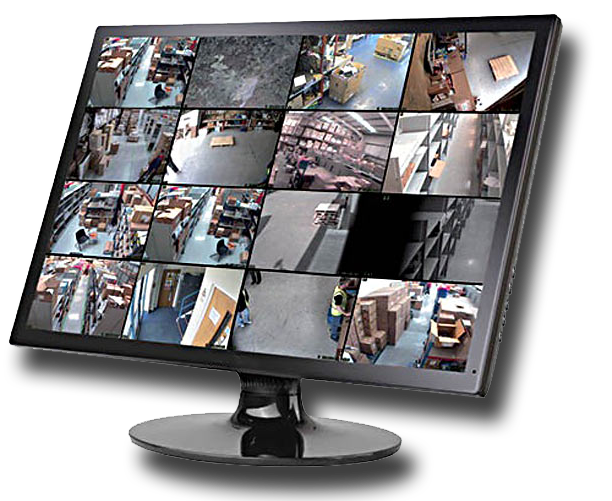 The video feed can be monitored on a LCD and/or recorded for safekeeping. Video recorders can be set up to record continuously, on a schedule, or with motion detection. Video can stored on DVRs or VHS tape. They can even be reviewed remotely with an internet connection. The stored video data is valuable when a loss occurs because it can be used as evidence by law enforcement.